We all know that travelling with kids can be tough, but what’s even harder is travelling ALONE with kids! Single parents can easily feel stuck at home, overwhelmed by the prospect of travelling with any number of dependent children that may outnumber them. 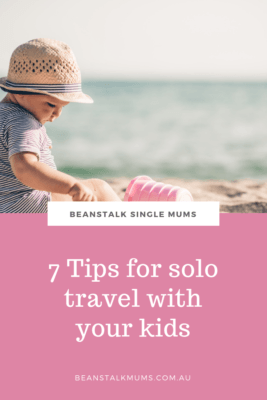 If the thought of traveling alone makes your stress levels rise, then you will be pleased to know there are some helpful tips and handy items to make travelling with kids easier and enjoyable. Keeping kids comfortable is key, especially on long-haul flights, which can be a nightmare if you don’t have a way of letting your child sit and fall asleep comfortably. You really want to try and avoid the dreaded situation where you’re stuck holding a sleeping child sprawled out across you for hours on end, rendering you unable to move. Lucky there is a practical and affordable product available to help your child, and therefore you, fly comfortably and get some rest. The Kooshy Kids Kooshion can be used to create a flat, flexible space for your kids. It is inflated between two planes seats, providing a large flat surface for legs to stretch out and little ones to lay flat for sleeping. It’s simple to use, lightweight, durable and most importantly, comfortable! 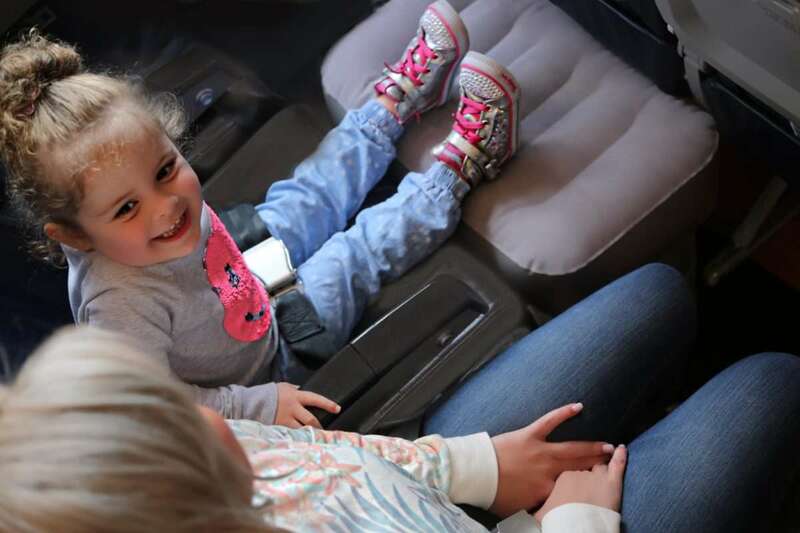 Over 50 airlines have accepted the use of the Kooshy Kids Kooshion during flight. This product is a must when flying with children … if your kids can get some sleep then so can you and you’ll arrive at your destination feeling rested and ready to explore! Let’s face it, you’re most likely going to be carrying the entire family’s luggage so it really is best to pack light to keep the number of bags to a minimum. Limit the amount of clothes and shoes to what’s really required, layers are a good option and one pair of shoes may be enough. You can share toiletries and if washing at your destination is possible, you can pack even less. If your child is small enough to be travelling on your lap on the plane, they don’t get their own checked in luggage allowance, so their things will need to be packed in your bag. If your children are older, get them a suitcase with wheels and encourage them to wheel it themselves. If your kids can’t or won’t carry their bags then use an airport trolley, attach their bag to your suitcase, or pack them a smaller soft bag instead of a suitcase and it can sit on top of your suitcase so you can push them both together. Your children may like to carry one small carry-on bag for themselves, which is great as it means everything for their journey can be packed together, such as toys, games and snacks. For you, a backpack style carry-on bag is a must! With a backpack when you’re travelling through airports or in destination, your hands are free to help with and hold more important things; like your kids’ hands or the passports, tickets, money, shopping etc. There is even a Backpack designed especially for travelling mums, the Kooshy Kids on-the-go Parent Backpack, for a stylish and practical carry bag option. Ipads and tablets are undeniably great entertainment options when travelling with children. Pre-downloading their favourite shows to watch and games to play will keep them quiet and content. But activities and games that encourage creative play are also fantastic to keep kids occupied and will limit the amount of screen time they consume. Small portable activity sets with options like colouring, stickers, magnetic games, puzzles are the best for travel and can be used during the journey and in destination. You can find some really great pre-packed kids kits with age appropriate activities designed for travel. 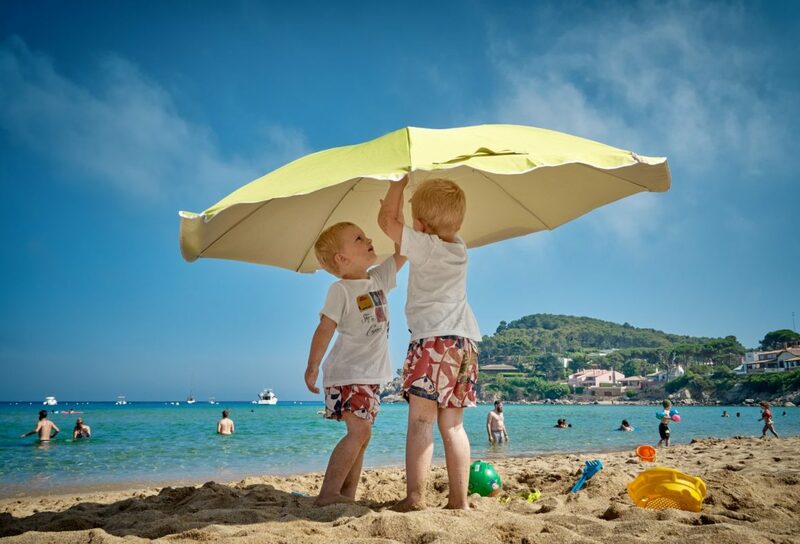 Choose a destination and accommodation that is child friendly. It will make things easier for you if there are interesting and engaging things for your kids to do. You may also find you meet other single parent travellers whom you can connect with. Be organised when it comes to your travel insurance, documents, money and passports. It’s a good idea to keep these together and safe; a family passport wallet is ideal for this. When it comes to travelling solo with kids, it pays to be extra safety conscience. Let a friend know where you are going and where you are staying during your time away. Make sure you have your mobile phone and charger with you at all times, a portable charger is great as your phone gives you the ability to stay connected from anywhere and is your best safety item. If your kids are the accident-prone type, it’s a good idea to save the local emergency numbers in your phone. Food is an important factor, kids can get cranky when they are hungry and they may not like the plane food on offer. It is therefore best to pack some snacks for the journey. Take a few options, something healthy as well as their favourites. Snacks are also a good way to pass some time and keep kids quiet when travelling. Also encourage your kids to drink lots water, airplanes are very dehydrating environments, and walk around the plane at regular intervals. If your children are older enough to understand and get excited about travelling, it can help to talk to them prior to the trip about where you are going and how you’re going to get there. This can help them to know what to expect from the journey and also get them excited about the trip. 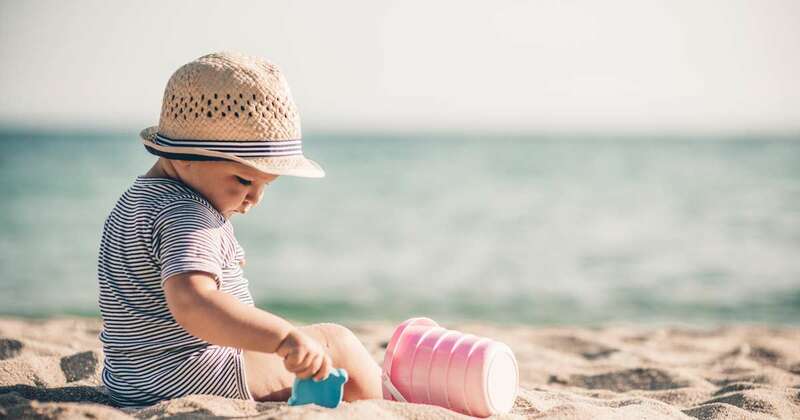 You can get inspired and motivated for your solo travel with kids by following single parent travellers on social media; read up, revel in and gain courage from their inspiring travel adventures. It can really help to remain calm when travelling with kids, and focusing on the positives can help. Travelling with kids really is a fantastic opportunity to spend quality time together, experiencing new places and creating memories. Travel can benefit your children’s development as they will acquire knowledge and gain skills from the experiences travel provides. Reminding yourself of the positive impact travel will have on your kids and the great experiences you will have together can help you get through any stressful part of the preparation or journey. So now you see travelling solo with yours kids is totally doable! So go on, book that trip and embrace the challenge knowing that the rewards are totally worth it! Megan worked in the Tourism Industry for many years before joining Louisa in the Kooshy Kids team to combine her passion for travel and family. Kooshy Kids is passionate about making family travel stress free with their Kooshy Kids Kooshion, On-the-Go Parent Backpack and range of helpful, comfortable and convenient travel gear.